Choco shines with his own light. 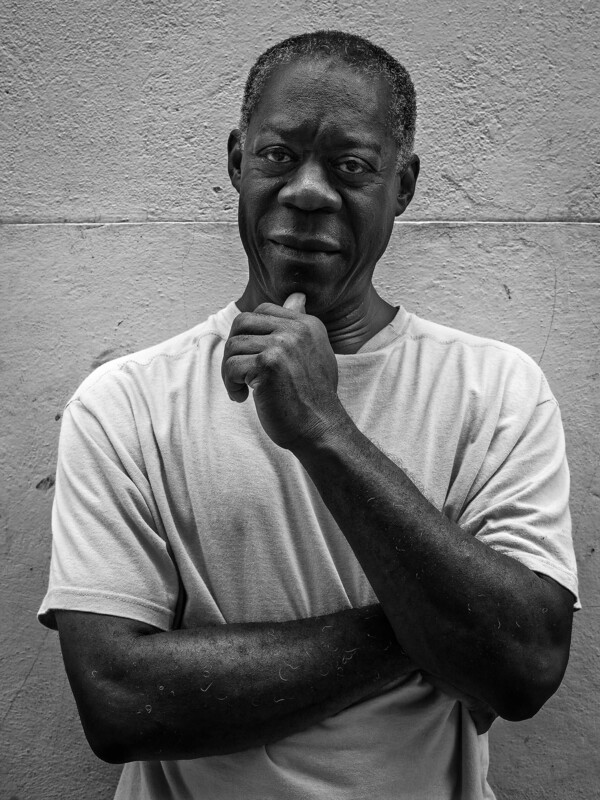 Perhaps not all inhabitants of the Caribbean island know that his name is Eduardo Roca, but when you say Choco – the familiar name with which he signs his pieces – they understand that you are speaking of an artist whom everyone admires for contributing to the heart of Cuban culture. That perception has been forged over time and is supported by the regularity of a consistent artistic output. The participation in salons and biennials and the awards he has received have contributed to the notoriety of his work and granted visibility to his artistic mark. To this must be added his early and subsequently growing recognition in international circles. Gallery owners and art collectors were captivated by the artist as he became known in Latin America, Europe, the United States, and Japan. In his case, these experiences nourished his creative impulses and extracted an essential connection that is present in all his work, which the artist has established with the Cuban nationality. He is familiar with the printing technique – particularly collagraphy – and masters it like few others,. Neo-expressionist elements appear in his creation, where the most intense Cubanness is always present. That is evident both in the physical features of his human figures and in the skin textures and atmosphere of each composition. To verify this, examine the repertoire of images displayed in ArteMorfosis gallery. People crowned by birds, fruits, and hats; faces of mineral consistency that glow with earthly colors; women distributed in space; a dancer of irradiating gesture; a Venus that is saved from original sin; each and every one of them on backgrounds of abundant textures. 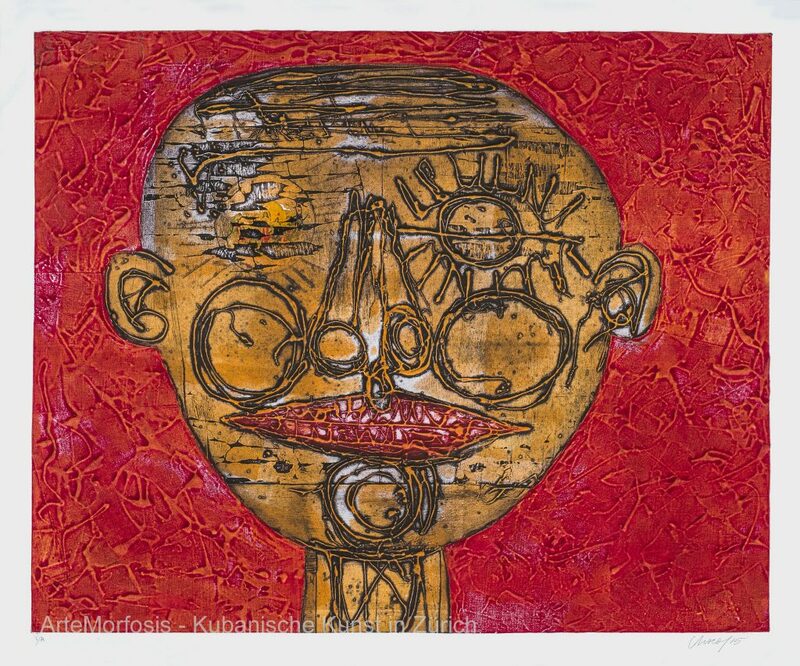 His painting, with figurations related to the ones in his prints show his mastery of this art form. The polychrome sculptures burrow into the wood for the mystery of plant fibers. From a technical point of view, the viewer of the exhibited works could ignore the difference between painting and engraving, since what matters and impacts is the visual outcome. The artist actually assumes both lines of accomplishment without stopping in watertight compartments. The porous nature of the borders between one and the other form is due to the character and dominion of the collagraphic technique and internalization of the latter’s effects on the painting procedures. Painting, engraving, sculpture: Choco is one and indivisible. He summarizes ancestral wisdom and unyielding vitality. Virginia Alberdi Benítez (Havana, 1947) Graduate from the Higher Pedagogic Institute Enrique José Varona, 1970. Art critic, editor-in-chief of Artecubano ediciones. During more than twenty years she was a Specialist in Promotion at the National Council for Plastic Arts (CNAP). During five years she was a senior specialist at the gallery Pequeño Espacio, at CNAP. She has curated numerous solo and group exhibitions. Her texts appear as collaborations in La Jiribilla, Granma newspaper, the tabloid Noticias de Arte Cubano, the magazines Artecubano, On Cuba, Acuarela. She has written texts for catalogues of different artists.